Luke Rockhold: "Khabib Nurmagomedov will demand huge payday for Conor McGregor rematch"
This past Saturday night at UFC 229, Khabib Nurmagomedov put the MMA world on serious notice when he retained his UFC lightweight championship in a dominate performance against the returning Conor McGregor. After dominating the Irish bad boy for the majority of the fight, he eventually took him down to the canvas and secured a punishing neck crank in the fourth round for the submission victory. 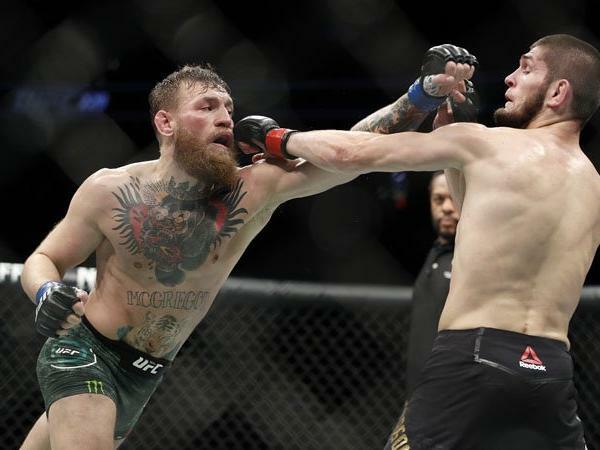 Then, suddenly after the bout ended, a rabid brawl broke out with both crews of the combatants starting with Nurmagomedov leaping out of the octagon and charging at McGregor’s teammate Dillon Danis who was cageside. Needless to say, judging from this post fight incident at UFC 229, the animosity with Nurmagomedov and McGregor is very much still alive. But more interestingly, McGregor has already demanded an automatic rematch against the champion. Based on his history, a lot of McGregor and UFC fans believe that should these two have a square off again, McGregor would reign supreme. All that being said, the fact still remains even though Conor McGregor lost the fight against Khabib Nurmagomedov, he still holds the spot as MMA’s biggest money attraction. It’s safe to say, if indeed Nurmagomedov is going to engage in another bout with McGregor, whom he just absolutely assaulted so convincingly, he will insist a very high price according to close friend and training partner Luke Rockhold when speaking with ESPN Monday. “If you want a rematch, if the people want a rematch, if they are going to buy into a rematch, they are going to have to pay Khabib,” Luke Rockhold explained (transcript via MMA Mania).